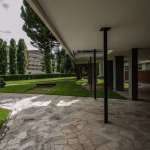 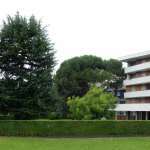 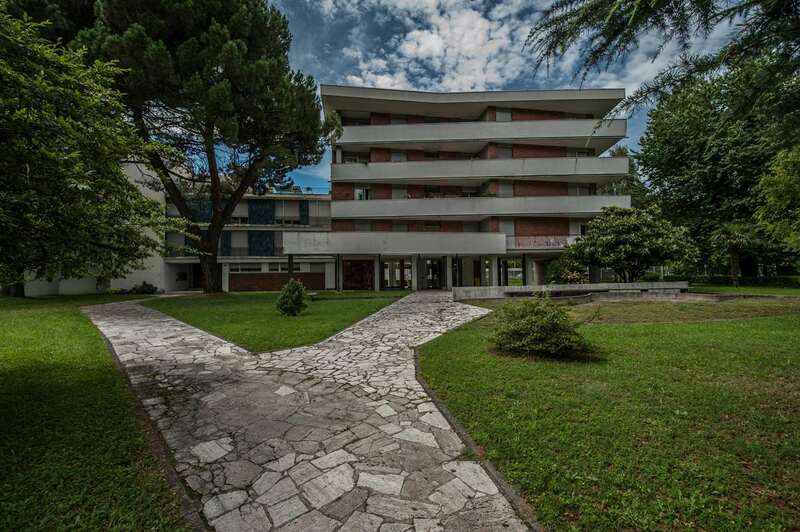 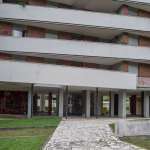 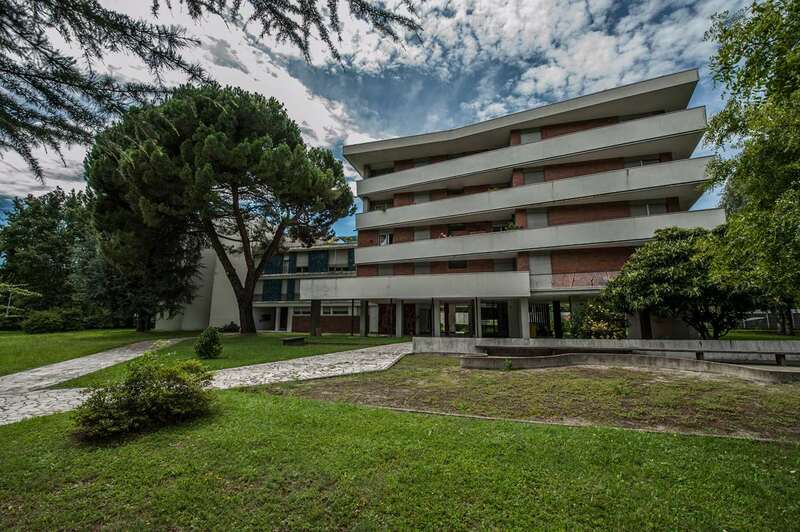 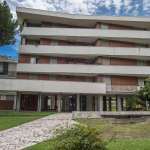 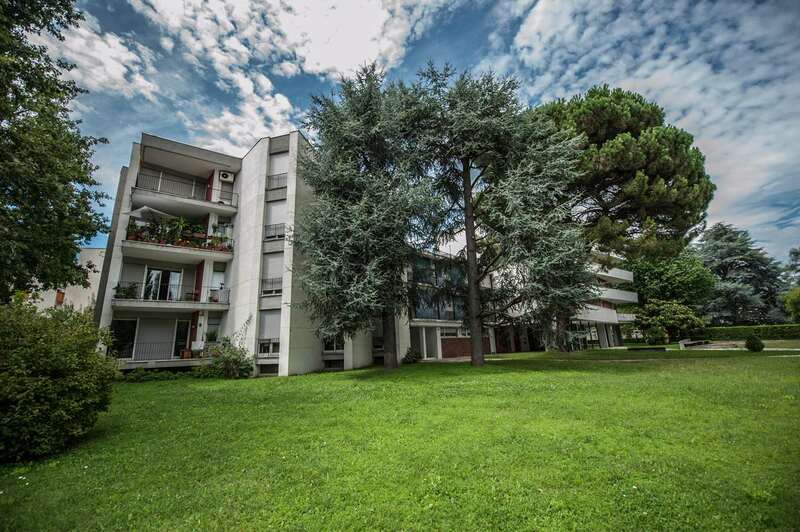 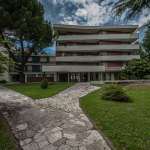 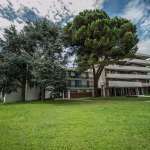 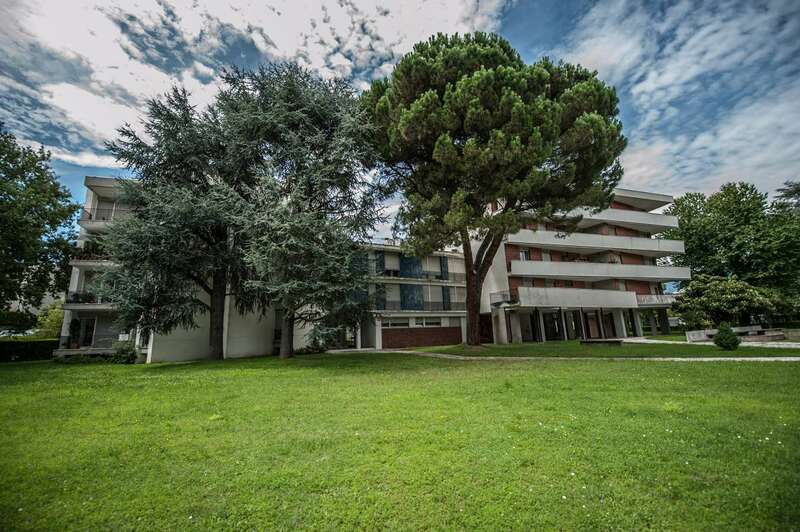 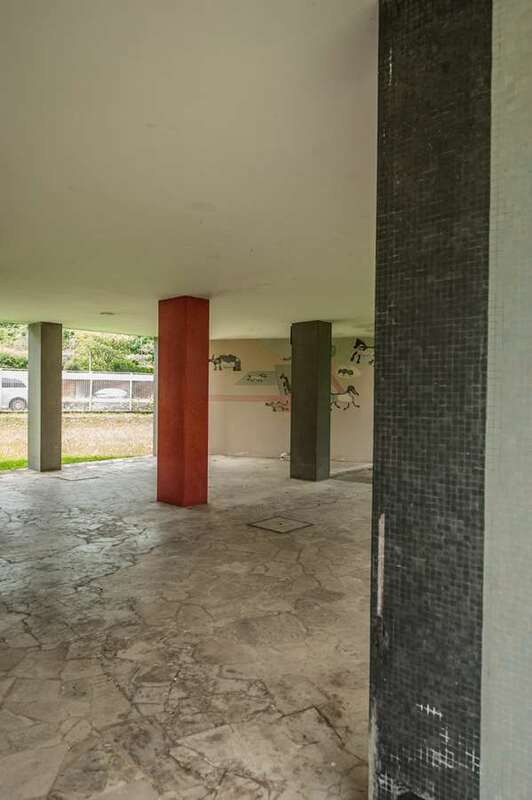 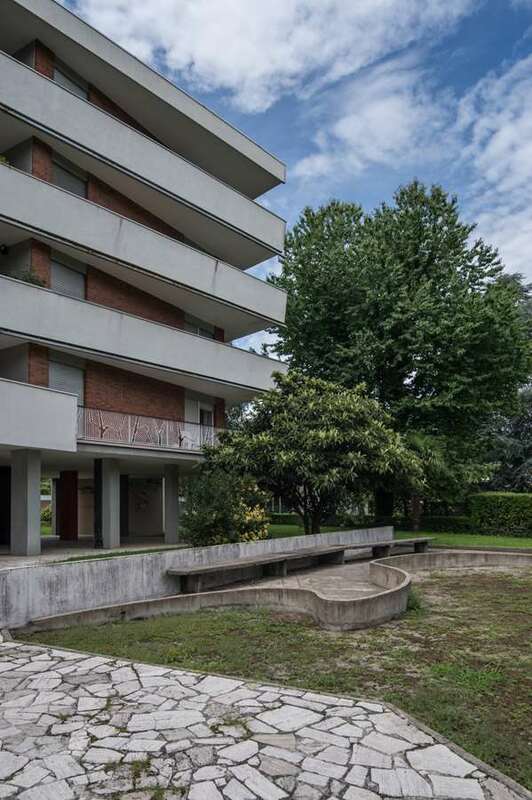 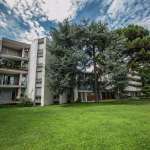 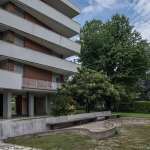 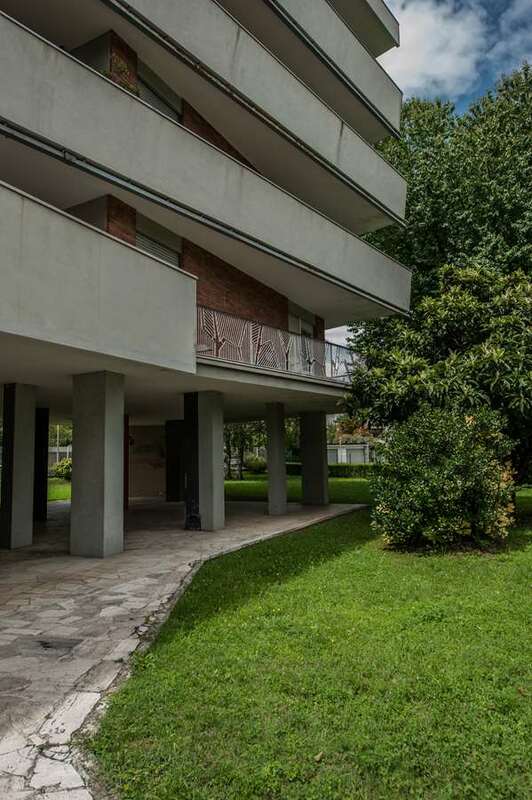 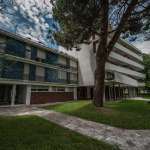 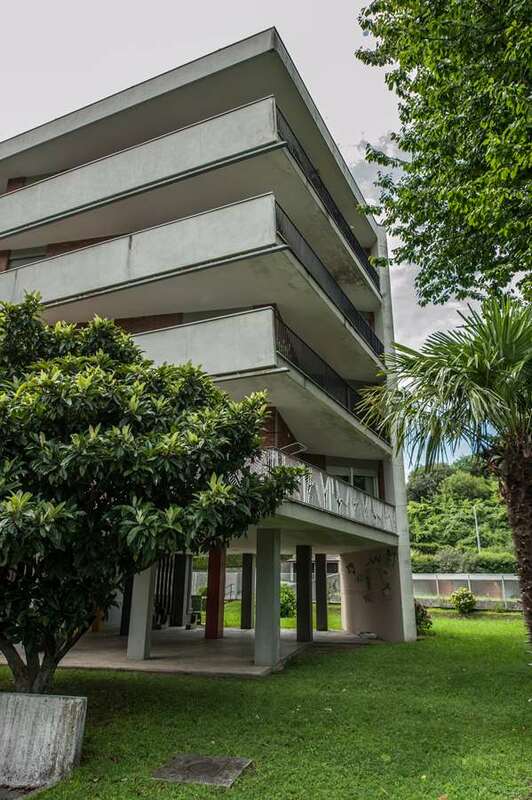 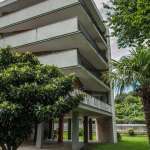 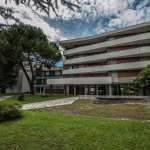 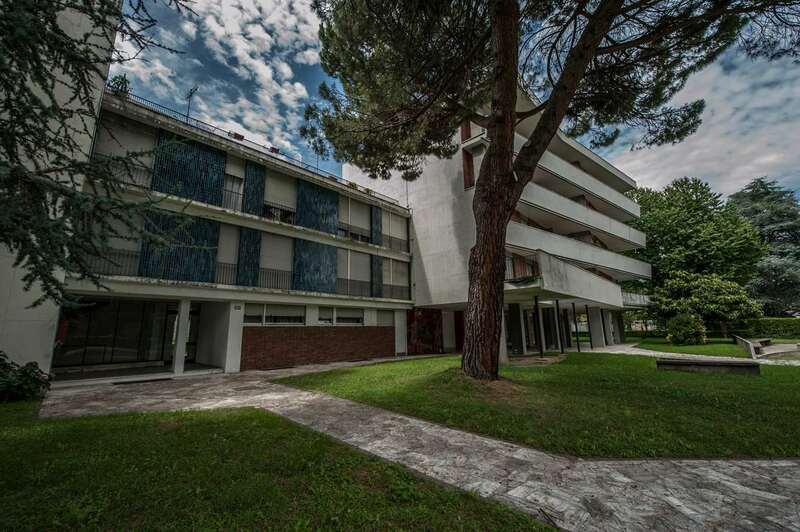 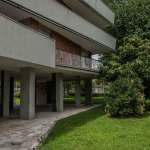 Designed by Marcello Nizzoli and Gian Mario Oliveri in 1954, it is the last of the residential building projects in the area implemented up to the start of the 1960s. 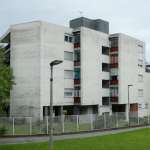 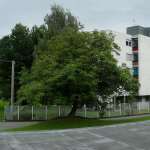 The building is made up of three blocks with flats designed in such way as to provide access to the eastern interior areas. 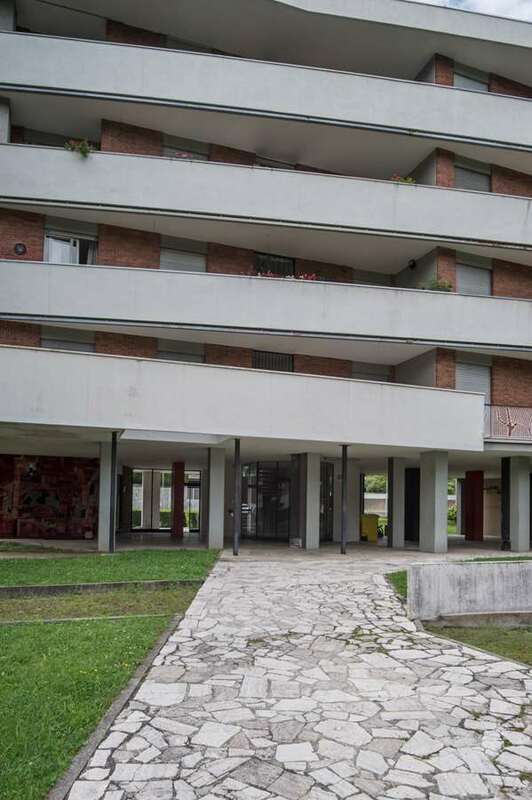 On the west side, these three blocks have a single facade compared to the eastern front where different formal and compositional solutions can be observed on the facade on which the horizontal segments contain the entrance and the stairs on the south side, the fan folds on the north side and the use of prestigious materials such as blue clinker in the central block. 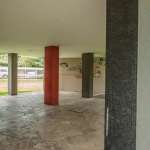 The independent entrance has visible pillars covered in different coloured ceramic tiles and a mosaic depicting elephants and other forest animals designed by Nizzoli. 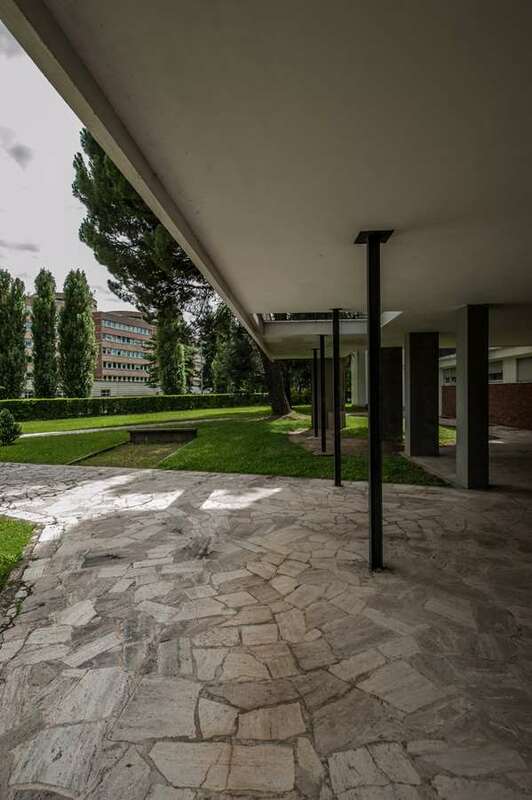 A type of projecting roof with a central oculus is supported by cast iron balusters. 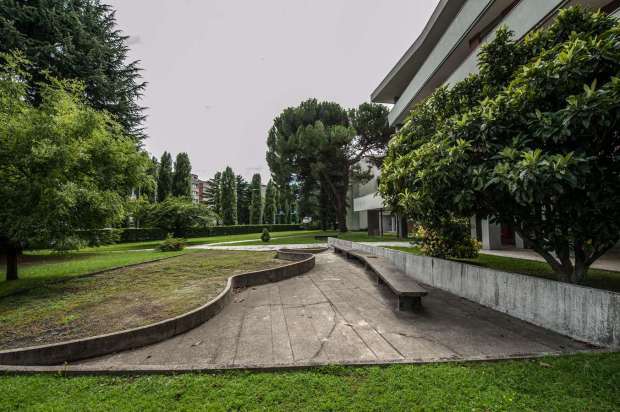 In front of the building is a bench and a cement kerb that borders off the perimeter of a sand pit that hosts a children’s playground also designed by Nizzoli.